The BJP pulled off a massive victory in the MCD elections, winning 181 out of a total of 270 wards. New Delhi: BJP chief Amit Shah will today meet party's newly elected MCD councillors and guide them on their works and duties. 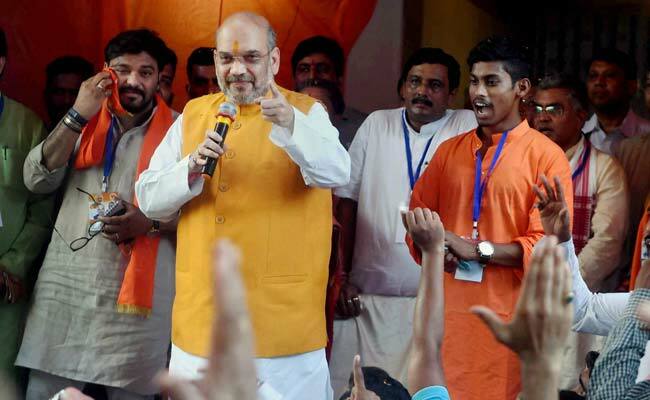 BJP sources said its Delhi unit will felicitate Mr Shah for leading the party to a massive victory in the MCD polls. "He will give Guru Mantra to them and guide them on their works and duties as representatives of people in their wards," said Delhi BJP general secretary Rajesh Bhatia. Besides the sitting councillors, all BJP candidates in municipal polls, the outgoing councillors, district presidents, and other Delhi unit leaders and workers will attend the function at Civic Centre, which serves as headquarters for South and North Delhi Municipal Corporations. "The event will also be an occasion to acknowledge the contribution of every party worker who worked hard to ensure BJP's impressive victory," Mr Bhatia said. The BJP pulled off a massive victory in the recent elections for three municipal corporations, winning 181 out of a total of 270 wards. Buoyed by the it's victory in MCD polls in Delhi, where it won a third consecutive term, insiders say the party may partially adopt the same strategy in Uttar Pradesh. On Saturday, Mr Shah began his country-wide 95-day tour from Jammu to strategise ways to strengthen the party at the grass-roots level with an eye to win the 2019 Lok Sabha election. He is focusing on states like West Bengal, Odisha, Telangana and Kerala. The BJP had managed to win just 4 Lok Sabha seats out of the 102 in these states in the 2014 election.